Staff members from various wards and Departments submit requests to the Friends of the RUH for financial support in areas the hospital is unable to fund. This can range from equipment or patient amenities, to arts and crafts supplies for the Children’s Ward. Individual Trustees are assigned a request, which they investigate before reporting to the Board for a decision. The Trustees meet monthly to consider requests and allocate funding. Hospital representatives are also present at these meetings to discuss and advise. Trustees are volunteers and there are vacancies on the board. Jane has been a Trustee for more than 8 years and leader of the volunteer Gardening Team for 10 years. 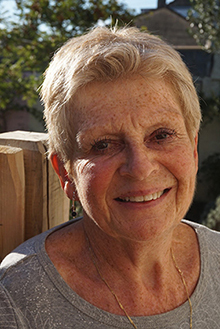 Jane’s career spanned more than 35 years, and during that time she worked for a number of local authorities and housing associations in Gloucestershire, Somerset and Wiltshire. Jane ended her career as Chief Accountant to a large housing association in Cirencester. In her role of Treasurer Jane is answerable to the Board for all aspects of the Charity’s finances. Jane wants to ensure that during her tenure the Charity has robust financial systems and procedures in place, and through the staff and volunteers, is doing all possible to raise funds for the benefit of the patients of the hospital. 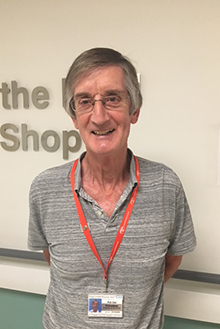 Bernard joined the Board of Trustees in 2018 having been a volunteer with the Charity for more than 10 years. Prior to retirement, Bernard spent more than 30 years working in local government finance rising to be of Head of Corporate Services with particular interest in systems and change management. 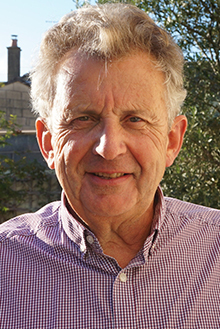 Bernard was until recently Treasurer to a major environmental charity in Gloucestershire. During his time large sums were raised to improve and develop the on-site infrastructure. Bernard’s has been responsible for installing an on-line accounting system and, along with the Treasurer, is revising the Charity’s financial practices and procedures. Over a period of some 50 years I have had involvement with various charitable bodies, in particular, The Lord Mayor of Bristol’s Christmas appeal for under -privileged children , missions to seafarers, parish councillor, advisor with Citizens Advice Bureau and a trustee of my institute’s annual award at the City of Bristol College. I am now close to completing 40 years of Lions Clubs international. On reaching early retirement and having little a time to spare I offered my services to the Friends of the RUH. Consequently I am now into my 19th year as a guide, the last 5 years with the added role as a trustee. My guiding duties are confined to a Wednesday morning which means that of the over three hundred volunteers I know very few of you .Should you happen to see me when the trustee duties require my attendance in the RUH I would be pleased if you could make yourself known to me. 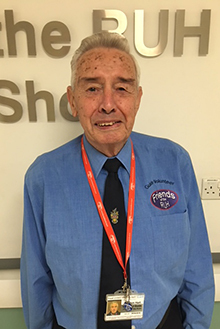 I have been a ward volunteer for 11 years and a Trustee of the Friends for 9 years. I had a long career as a partner in the Bath Law firm Withy King(now Royds Withy King) specialising in Property matters and other Private Client work.